Good news everybody! Blood on the Motorway is now available on Google Play Books. This means that if you’re on Android, you can purchase the book for your native e-reader, rather than having to have the Kindle app. If this has been the barrier to you purchasing the must-read horror book of the year, then be barriered no longer. Barriered? That’s very clearly not a word. Anyway. It’s supposed to be 99p until the end of the month, but seems to be £1.49 for some reason. To be honest it’s taken me months to even get the book on sale there, so I’m not going to start trying to quibble with them. But lo, behold, buy. 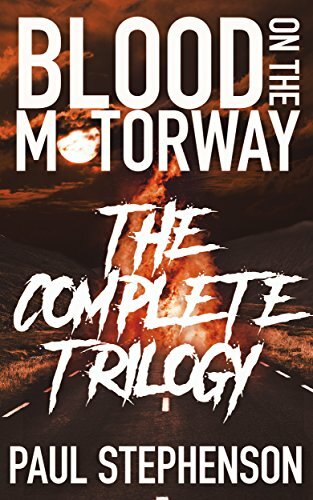 Blood on the Motorway – An apocalyptic tale of murder and stale sandwiches, is also available on Amazon, iBooks, Kobo and more besides, at the special Halloween discount price of 99p in the UK, 99c in the US. Of all the places I currently hawk my questionable wares, my favourite is Kobo. I mean, don’t get me wrong, I love me a sale wherever it happens, but if you’re an indie author, the best people to deal with are the good old Canadians over at Kobo. Got a question for Amazon? Might as well be asking them about their tax affairs. Got a question for Apple? Might as well ask them what the hell is wrong with having a headphone port on your devices. Got a question for Kobo? Hell, not only will they answer you promptly, they will probably offer you something you didn’t even ask for. Not only that, but they’ll actually help to try and get your book in front of their readers. Which is why, from today, until the 26th, you’ll be able to find Blood on the Motorway, my apocalyptic horror novel, on sale for 30% off, alongside some cracking other reads. And if you don’t have a Kobo reader, that’s not a problem, there are apps for most devices. So what are you waiting for? Head over to Kobo for 30% off today! Blood on the Motorway – An apocalyptic tale of murder and stale sandwiches, is also available on Amazon, iBooks, and more besides.